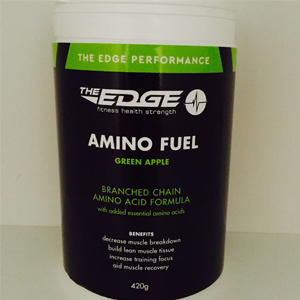 Amino Fuel in Green Apple is a unique formula combining Branched Chain Amino Acids and Essential Amino Acids in a refreshing Green Apple Flavour to give you the perfect training fuel. Amino acids are a foundational product we use to enhance our workouts and heighten the benefits of each training session. Males: 2-3 scoops pre-workout or as recommended by your healthcare professional Who should take this product.